The following symbol is taken from a Surface Analysis Chart and represents the weather observed at an airport. 1. What surface visibility was observed? 2. What weather was observed? 3. What is the sky condition? You have to love the Skyhawk. Its long history of proven reliability, stable flight characteristics and superb visibility have made it the perfect traveler. 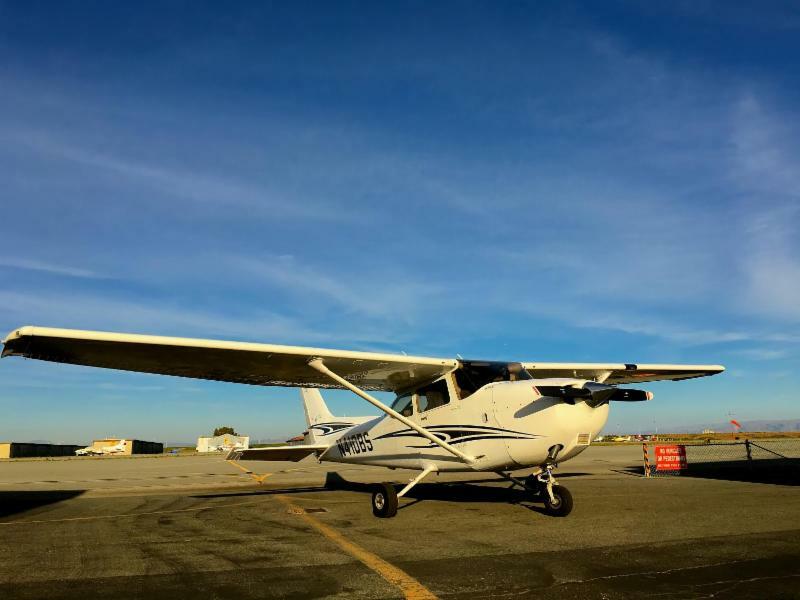 In order to keep up with the rapid growth of the Flight Center at San Carlos and Palo Alto Airports, we have added our ninth 172SP to our expanding Skyhawk Armada. Bay Flight 31, N410BS, is a 2005 C172SP model with 2-axis KAP 140 auto-pilot with altitude preselect and KMD 550 multi-function display. Cessna has built and delivered more than 55,000 C172 Skyhawks since its inception. Its smooth ride and ample useful load make it the perfect ride to your favorite $100 burger destination with a friend or two. And the high wings offer both sun protection and great visibility, so you don't miss out on those amazing views along the way. 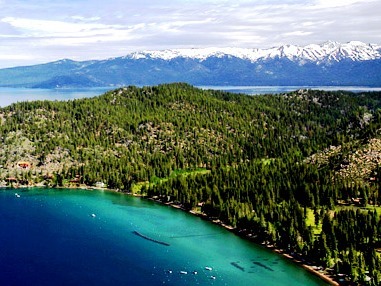 Take Bay Flight 31 for a test flight today, $160 for members and $175 for non-members. The four planes we have based at Palo Alto are flying pretty regularly. Congrats to the south bay SCFC pilots who have mastered opening our new PAO lockbox. Some say that opening procedure is a bit of a puzzle, so give the front desk as call (650) 946-1700 for hints and congratulations. Remember that Flight Schedule Pro now has a new "Location" field. Select Palo Alto Airport from the drop box at the left to see the schedules for the Palo Alto fleet. Two airports and growing is a great feeling. On October 21, pilots from our Fly Like a Girl (FLAG) group visited SFO control tower. SCFC regularly works with the tower manager and the support specialists of SFO tower to improve pilots' overall understanding of Class B tower operation and its processes. FLAG member Vivian Chan has this to say "The opportunity to eyewitness the work of Tower staff members is impactful and special. Unlike what one would think of the high-stress nature of the Controller's environment, the actual impression is of a focused, calm, and very organized nature. I left the Tour with a renewed conviction that pilots and controllers supporting and working together will make the 'Safest & Happiest' flying possible." 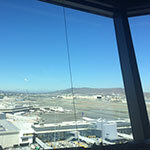 Our thanks go out to the controllers at SFO and at all the ATC facilities that help keep us safe in the SF Bay Area. 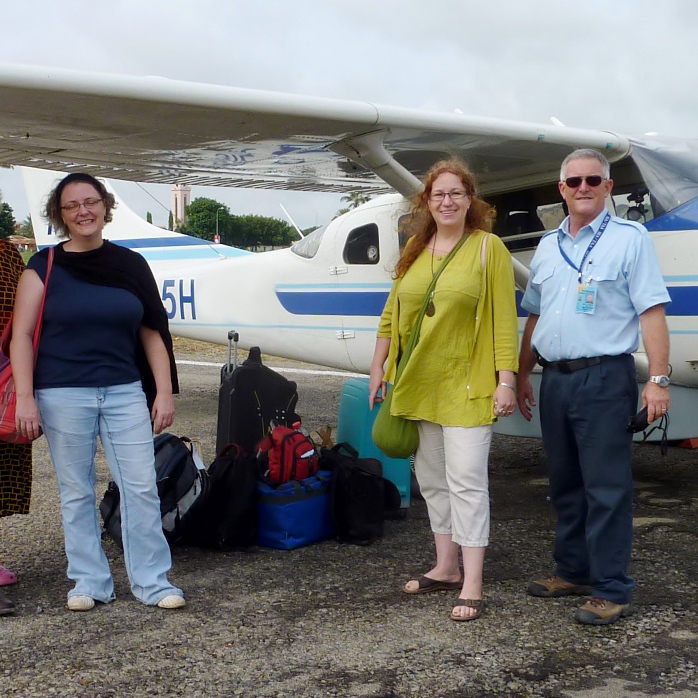 All women pilots are invited to participate in our next FLAG event. Contact SCFC or subscribe to our events email listing for more information. It is likely to be a wet winter in the Bay Area, so now is a good time to review safety issues of flight through rain. A light warm rain won't prevent flight, but keep care to stay safe on the ground and in the air. During preflight, use caution not to introduce water into the fuel tanks. If there is visible water on the surface, check that it is actually liquid water and not ice that looks like water. Before start up, familiarize yourself with the venting and heating system on your aircraft to help with fog on the windshield. Use caution and taxi slower than usual as the windscreen may have distortion from raindrops or condensation inside the cockpit. Expect to need more runway for takeoff and landing, and use caution when braking so as not to hydroplane. Avoid flight in heavy rain or if temperatures are close to freezing. 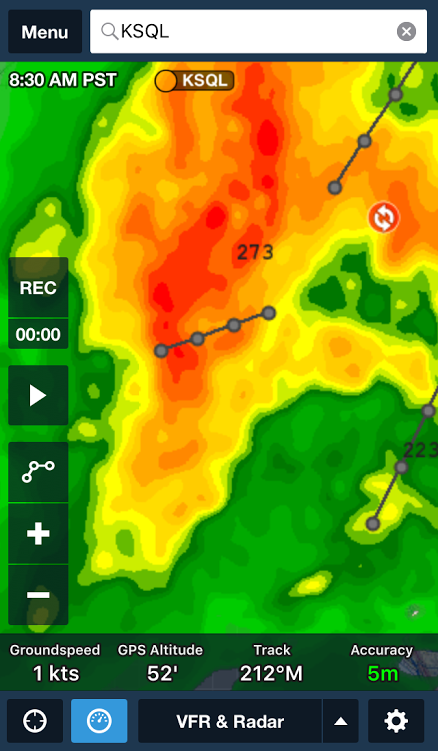 Heavy rain can bring turbulence or seriously restrict inflight visibility. Freezing temperatures combine with moisture to create ice buildup that can block air intakes, freeze flight control surfaces, add extra weight, and destroy lift from the wings. And of course, steer clear of thunderstorms by at least 20 miles to reduce the risk of hail or lightning damage. Every year about this time, the Flight Center maintenance team starts to prepare for winter. Although the San Francisco Bay area has moderate winters by most standards, there are still things aircraft owners can do to prepare for winter. Keep moisture out! Replace old aircraft covers and have your mechanic check that all windows are properly sealed. Window resealing may be called for. Check your oil; there are specific oils for different climates. Most importantly, do not let your aircraft sit for more than 14 days. If your plane's annual currently expires during the good flying seasons, consider having it lovingly attended to in a hangar for 4-5 days. Winter is a great time for an annual inspection! Holidays bring family members and guests to town, many of whom haven't yet seen the beauty of the Bay Area as seen from above. If you're planning to spend a portion of your holiday as tour pilot, here are some safety tips to remember. Fly the airplane first. Keep normal speed, navigate the airspace, and know how to mute intercoms so that you can hear important radio calls. At a medium cruise speed, your plane may allow the first notch of flaps, which lowers the nose for better viewing, and lowers the stall speed. Resist passenger requests for steep turns to get photos of landmarks on the ground because steep banks increase wing loading and stall speed. Gentle turns are fine. Clear winter skies and days off of work often bring out additional sightseeing traffic, so always get flight following and stay attentive on frequency. The best gift you can give family and friends is a safe, memorable flight. SCFC: When did you know you wanted to fly? DZ: I began having vivid dreams about flying after my first trip in a commercial airplane at the age of 7. These dreams persist to this day, though only recently have they involved autorotating. SCFC: You have been flying airplanes for years. What is your favorite part of piloting a helicopter? DZ: The challenge of the helicopter makes it a sport in and of itself. Once you lift off, your hands and feet stay on the controls, constantly moving to keep the helicopter stable until you set it down again at your destination. SCFC: What would you tell someone interested in trying helicopters? DZ: They are literally in a category by themselves. Helicopters are incredibly capable aircraft. Helicopter pilots are as rare as a college hockey player making it to the NHL. SCFC: What plane do you own? DZ: The past few years I've enjoyed flying a Beech Bonanza A36 out of Reid Hillview Airport. The Bo is great for cross country trips with friends, making it possible to get to Las Vegas or Palm Springs in a couple hours. Or, fly an hour more and land at the Grand Canyon. SCFC: What are your hobbies outside of flying? DZ: When not flying, or perhaps in combination with flying, I enjoy running, skating, and skiing. When home, I'm likely to brew a batch of beer, or prepare good food. The Member Profile is a regular newsletter feature, designed to help SCFC members get to know one another. 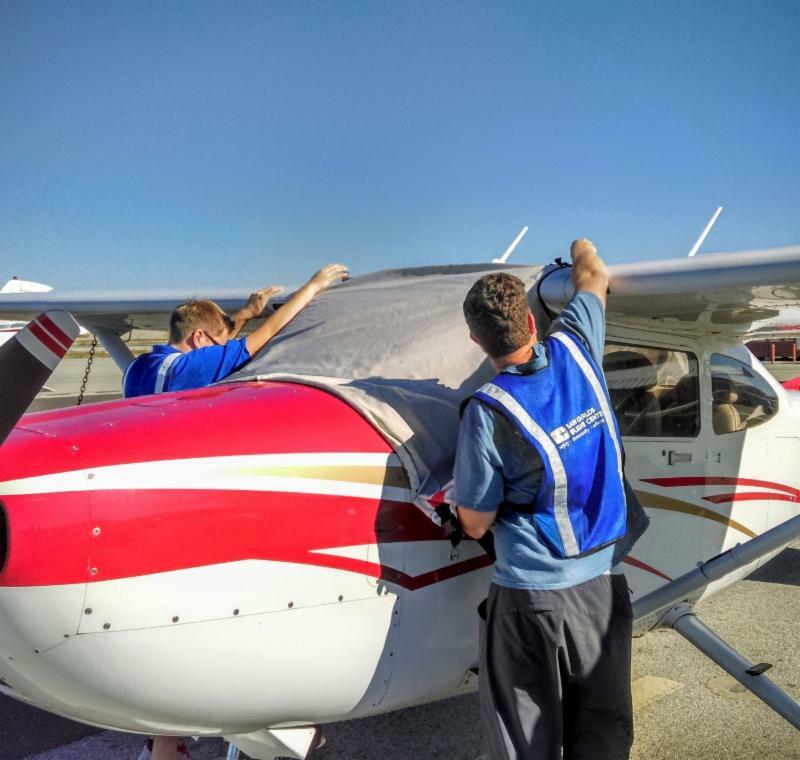 The Sequoia High School SAFE Program has again selected San Carlos Flight Center to help introduce aviation maintenance to young people. Our team of mechanics takes part in weekly after school meetings to give young people a better understanding of careers in aviation maintenance. These students get hands-on experience doing annual inspections, tire and oil changes, and minor squawk repairs alongside our mechanics. The hand-on experience is a change from classroom lectures and is the part these students find most enjoyable. Does your high school offer career guidance workshops that could include aviation? Email dan@sancarlosflight.com to find a way we can work together. San Carlos Flight Center is a proud community sponsor of Palo Alto High School's 2015 winter play. Join SCFC members in celebrating our new sister city and go see the theater spectacular, The Odyssey, at Palo Alto High School November 6th thru 13th. Bravo! 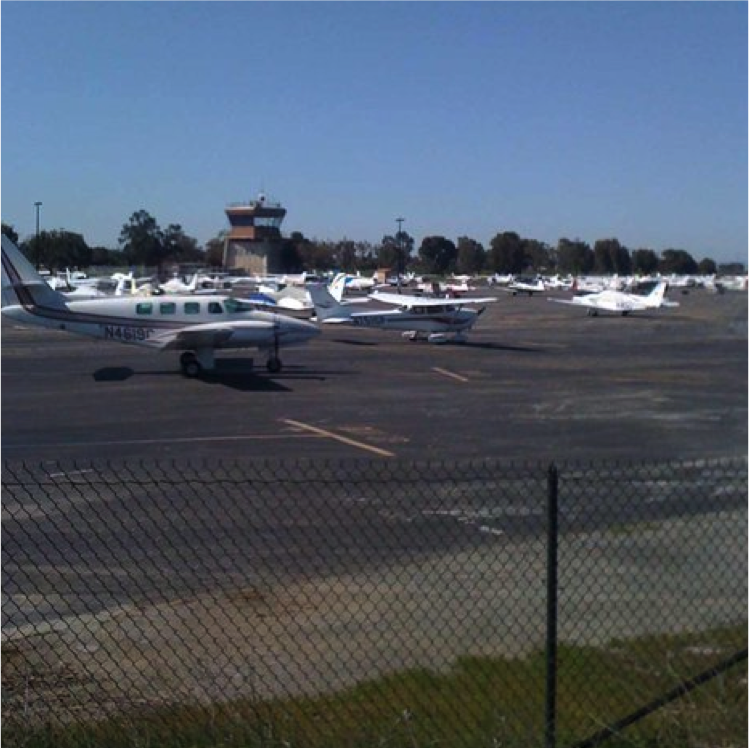 The Flight Center actively participates in the communities of San Carlos, Palo Alto, and throughout the peninsula. We are always looking for ways to share our love of aviation with worthy local schools and charities. SCFC thanks Palo Alto High School Theater for this exciting donation opportunity. 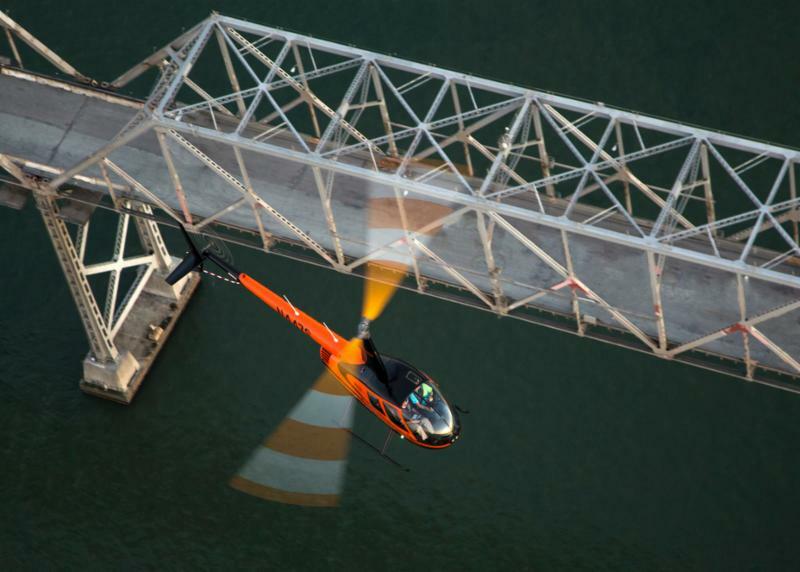 San Carlos Flight Center has partnered with the Upwind Foundation to say our final goodbyes to the Bay Bridge, whose eastern span has connected San Francisco to Oakland and the East Bay for 77 years. Seeing unknown tons of concrete and steels disappear below the murky waters of the bay is a once in a lifetime opportunity. SCFC has created an online auction for three seats in our Robinson R-44 Helicopter. The bidding for each seat begins at $100 and increases in bids of $25. 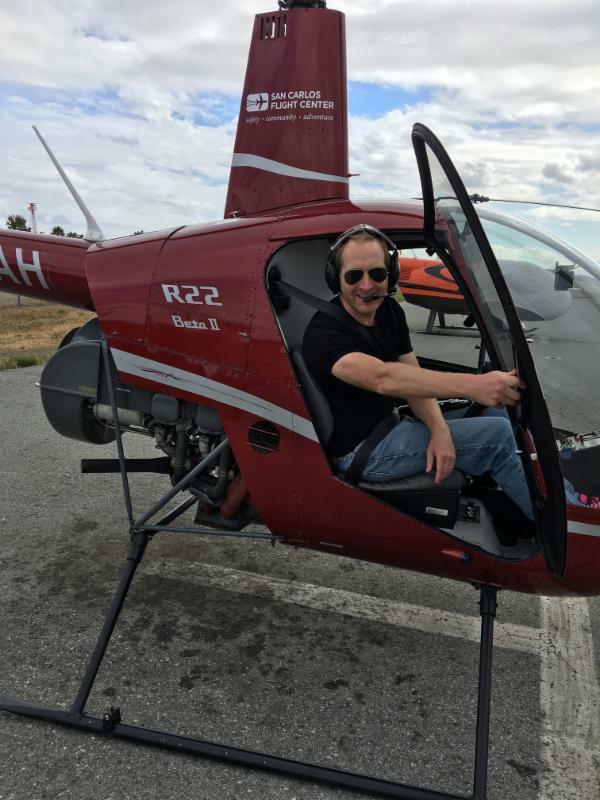 Maybe you are looking to ride in a helicopter for the first time, maybe you want to help secure the future of general aviation, or maybe you want to say goodbye to a piece of history. Whatever the reason, bid now and secure your spot to join us on what will be a historic flight. 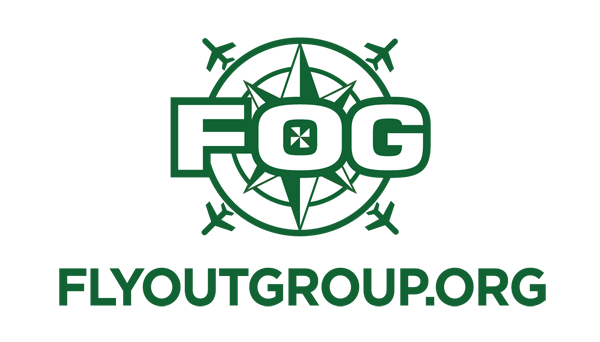 On Saturday & Sunday, November 21-22, FOG will be doing another 2-Day Mountain Training Trip though the Sierra Nevadas. Weather permitting, it can be a great time to learn to operate safely at airports with higher elevations. It can also occasionally bring the threat of snow and ice, which are good things to learn to respect during trips to airports at higher elevations. 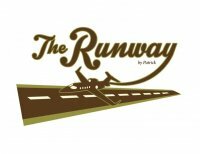 This month we return to Napa County Airport (APC) for dinner at The Runway. This quality restaurant was a pleasant surprise to FOG pilots on our first visit last March. Fantastic tasting food, beautiful decor, and friendly attentive service. This restaurant is a gem for pilots. Plan to meet in the restaurant lobby at 7:00pm. If you'd like to reset your night currency, plan to make your 3 full stop landing along the way home. Please sign up so we can get an accurate headcount and keep you in the loop with updates. Ridesharing is encouraged, so be sure to list any open seats, or contact someone you'd like to ride along with.